This hilarious video is for anyone who has experienced frustrations with Siri, and who is also a fan of the science fiction classic film 2001: A Space Odyssey. Imagine Hal is Siri. But, rather than Hal being a creepy malevolent and increasingly self-aware insubordinate artificial intelligence, it’s just Siri, friendly as ever but sometimes incompetent, complete with the frequent misunderstandings, interpretive failures, and quirks that come along for the ride when using Siri with any regularity. This is pretty funny, particularly if you’re like Cookie Monster and use Siri often enough to encounter some of the utterly ridiculous mistakes and seemingly obvious failures from the virtual assistant. This is not to say that Siri isn’t really useful (when it works as intended anyway, with any of the myriad of commands), because Siri has tons of great uses and it often works just as you’d expect it to, but it’s good to have a sense of humor about things when it doesn’t quite work as intended. Thanks to Joseph for passing this amusing find our way! If you’re looking for more goofy stuff, we have a whole array of funny oddities we cover from time to time. This is funny, but it’s almost too exact to be true! It’s more like you would ask Siri to ‘open the pod bay doors’ and it would give you a 25 second delay, and either time out, or respond with ‘Searching the web for “opera odd bade or”‘. Siri works for me about 25% of the time with any degree of accuracy. I usually have to issue 3-4 commands before it gets it. I do not speak with any accent, English is my native language. Cortana by Microsoft is flawless for understanding. Google Now is flawless for understanding, responds quick. Amazon Echo is not only flawless but genuinely impressive at understanding exactly what you ask and responding rapidly. Siri has been out for over 4 years, and feels no more improved now than when it debuted. Oh, but you can now ask it to tell you jokes about WWDC and other junk, how innovative! And useless. Siri is still a beta product. Does anyone work on the Siri team? Is there a Siri team? The Eddy Cue led items are really a mess, iTunes, iCloud, Siri, Apple Music, all junk. Siri is a mess. I like the idea, but it’s a mess. Apple could fix all these services by scrapping iTunes and starting over from version 7 or so, buying Dropbox to replace iCloud, licensing Echo from Amazon, and buying Spotify to replace the rap trash that is Apple Music. Siri is crap and Eddy Cue needs to be demoted. Every division Eddy Cue runs is awful. Which of those services is good? None? And how has Edward Cue been rewarded for these persistently abysmal experiences of software and services? Over $80 million in stock in the last several years alone. Great post, “Heavy”, and you’re absolutely right. With voice control moving so quickly to the top of tech trends, one wonders why Apple appears to be ignoring it. Might be time to re-balance my stock positions. I would second this and add Mail to the list of abortions. As long as OS X, El Capitan has been out, Mail has never operated as before on several levels. If it weren’t such a pain to switch I would. Apple has lost a lot of my respect with their attitude about fixing things. That clip it true. All of it. I gave up using Siri to turn on my lights, it was too 50/50. Ended up shouting commands, peppered with expletives, in fits of seething rage. it was sad, just not worth it. Unfortunately Siri seems little more than a novelty. Unfortunately it’s been available for too long for it to really be a novelty anymore. “Not very useful” pretty much sums it up. Since Siri is all server based it seems to change to much for me. I find days when I say “Call Linda” it works without issue, then a day later the same “Call Linda” command responds with “I don’t have any phone number listed for Linda” This same random reliability seems to be getting worse. I firmly believe some of the more simple command should stay local, like calling features, this way you can stay hands free in the car. I am saddened by the slow decline of Apple quality in both apps and services. The “It just works” mantra is no longer true, in fact it is getting quite close to the opposite. If I had to listen to Siri all through the 18-month mission Bowman was on, I would have gone out the pod bay doors and never come back. 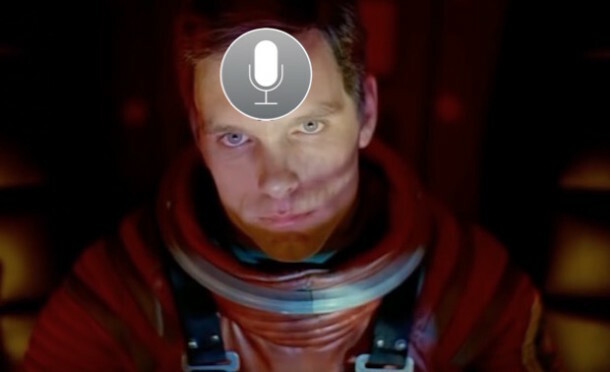 Apple should offer Siri in the voice of HAL. That said, my use of Siri has been for simple requests such as the temperature or the time of sunset. Always heard me accurately. For more complex requests, why bother. Always on SIRI is awesome! Just think, everything within listening distance to your device is constantly being recorded and uploaded to servers somewhere in “the Cloud” to be kept in perpetuity. I turned it off. It adds no value to the phone. Sounds like Eddy Cue should get a cue. Eddy Cue here. So you Siri naysayers think you could do better than I have? Send your resume in to my attention. If you have what it takes, we’ll talk. If not, switch to Android. Apple doesn’t want or need stupid users like yourselves. This is actually sounds like a typical Apple response: act snarky, ignore problem, deflect blame. I have been working too hard doing Linux development for the last twenty years. I am over 50 now. My wife wants to live in the bay area. I could use a no-brainer job like being a developer at Apple. I don’t get it, I can ask Siri to say “open the pod bay doors” and she responds with it being insensitive. Siri understands the command fine, but she does not want to perform the action. What is the complaint here? This was funny until I needed to interact with TV tonight. I just asked Siri to “open the pod bay doors” and her answer was priceless XD.